We've all toyed with idea of being God from time to time. Let's not deny it, it's a pretty sweet gig - dictating how everything looks, how it all works, when a natural disaster's going to swoop in and tear it all down... EA isn't quite giving you the world on a platter to play with, but it is giving you a city all of your very own with SimCity Creator. 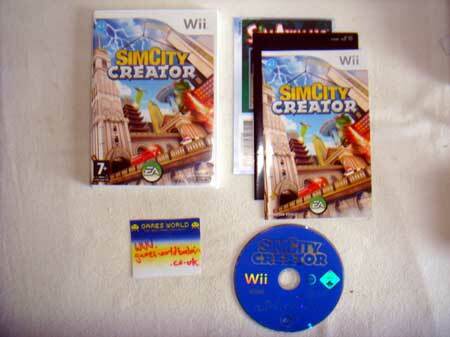 In the Wii version, you'll be a powerful mayor with the power to create, play with and ultimately destroy your own city. First up, you'll want to zone your city - constructing homes, businesses, factories, skyscrapers, motorways (or 'freeways' - let's face it, this is an American game), railways and everything else you might need. You'll be able to do it in one of thirteen city styles, including American, European and Asian. You'll also have the option of bringing into play a selection of iconic 'Hero' buildings, which come from history, the present and even fantasy. 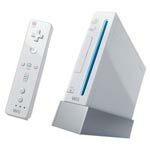 Once all that's in place, for the first time, you'll be able to use the Wii Remote to build curved and rounded roads wherever you want to tie it all together. As you can giveth, however, so you can taketh away. With giant robots. And tornados! And, of course, your Wii Remote.